In a move that is heartbreaking to many and shocking to none, the Trump administration has proposed detrimental budget cuts (in some cases total elimination) of federally funded arts and humanities foundations. On March 16th, “America First” – A Budget Blueprint to Make America Great Again“ was released and it includes plans to end the National Endowment for the Arts (NEA); sister agency, the National Endowment for the Humanities (NEH), and the Institute of Museum and Library Services (IMLS). It would also axe federal funding for the Corporation of Public Broadcasting which supports PBS and NPR. The organizations have long provided educational television and media, including the much loved Sesame Street. In reference to the proposed cuts, Federal Budget Director Mick Mulvaney stated, ““When you start looking at places that we reduce spending, one of the questions we asked was can we really continue to ask a coal miner in West Virginia or a single mom in Detroit to pay for these programs? The answer was no. We can ask them to pay for defense, and we will, but we can’t ask them to continue to pay for the Corporation for Public Broadcasting.” An ironic statement considering that for many in rural and impoverished areas – public television channels are oftentimes the only constant source for news. The proposed federal budget also features an increase of more than $50 billion to go towards military related matters. Currently the NEA operation budget is $146.2 million. The NEH sits at $148 million, that’s 1/21,0000th of the $4 trillion US federal budget. * Already a small number, the NEH’s budget seems even more minuscule when compared to the $640 billion that the military would round out to if Trump’s budget does go through. 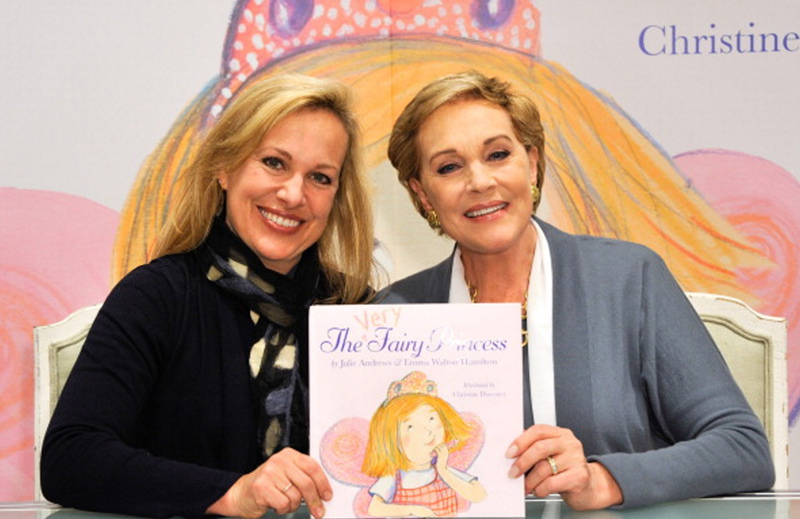 Julie Andrews and Emma Walton, courtesy of Getty. “Decades worth of research attests to the fact that the arts are among the most profoundly important and valuable ways to improve learning and promote success, from early childhood through adulthood. Indeed, according to four longitudinal studies compiled and published by the National Endowment for the Arts, young people who engage regularly with the arts are twice as likely to read for pleasure, three times more likely to win an award for attendance or be elected to class office, and four times more likely to be recognized for academic achievement or perform community service. The jury is out on whether celebrity political postulating helps or hinders public opinion but there may be some hope when it comes to fiscal matters. In 1981, Ronald Reagan also attempted to eliminate the NEA and NEH and later wanted to cut their funding by fifty percent. Members of a special arts and humanities task force, which included Charlton Heston and Joseph Coors of Coors Brewing, advised Reagan to reverse his thinking and the final budget preserved both agencies. 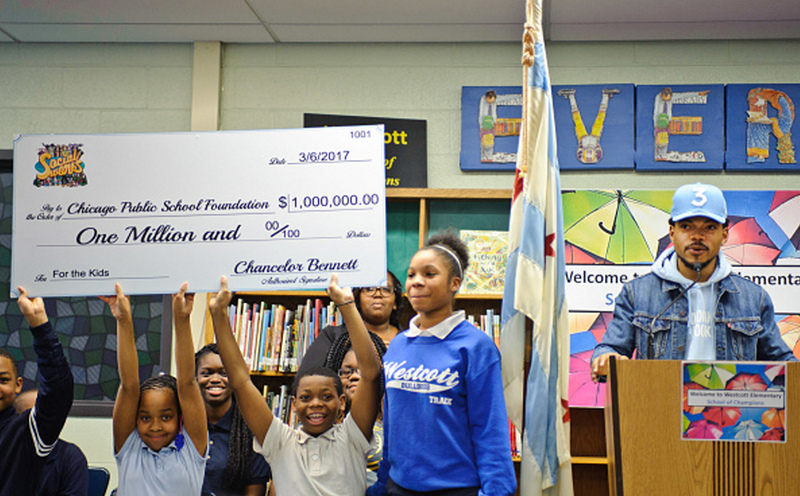 Chance the Rapper donated $1,000,000 to fund arts education in Chicago earlier this month. Image courtesy of Getty. Get involved! Send a message via American for the Arts Action Fund in support of the NEA to your representatives and click here to sign this petition to protect funding for public media. Then distract yourself while we wait for more news on the “America First” budget. 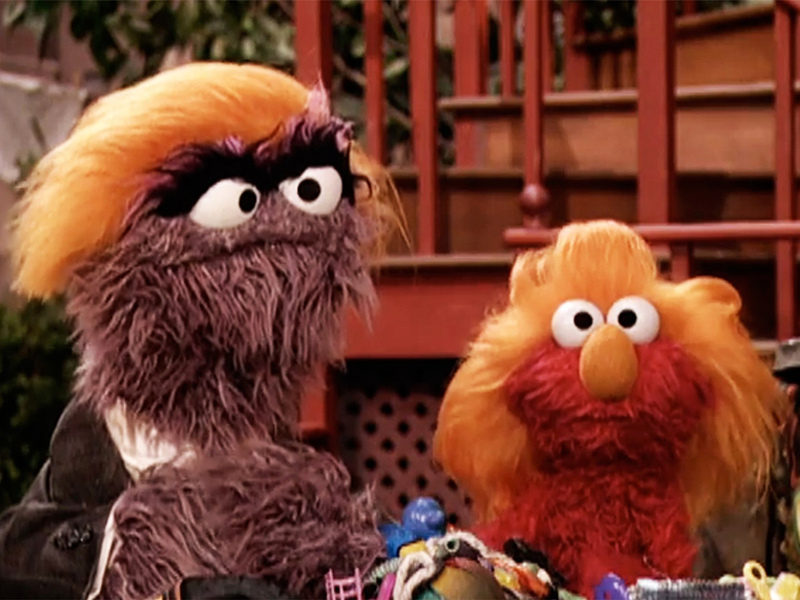 Watch below to see vintage Sesame Street clips that features a less than flattering parody of a certain someone.